Four new elders were ordained today and seven were installed to serve on Session for a three year term. 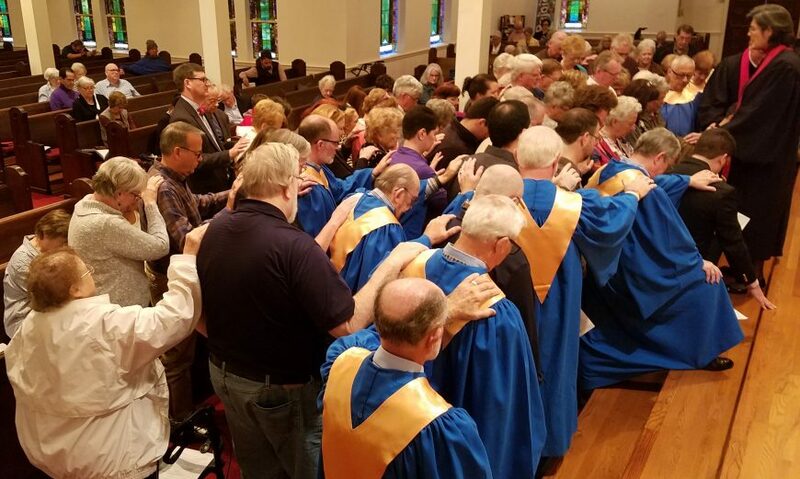 All ordained elders came forward for the laying on of hands for the prayer of ordination. May God bless their service!